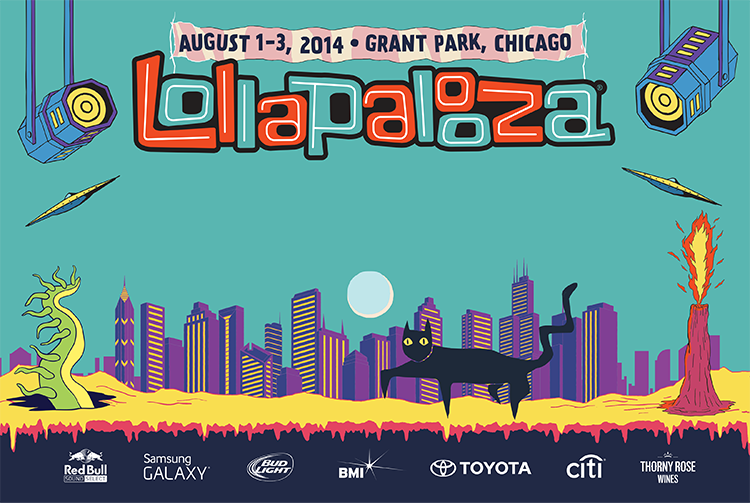 The highly anticipated for Lollapalooza is here! 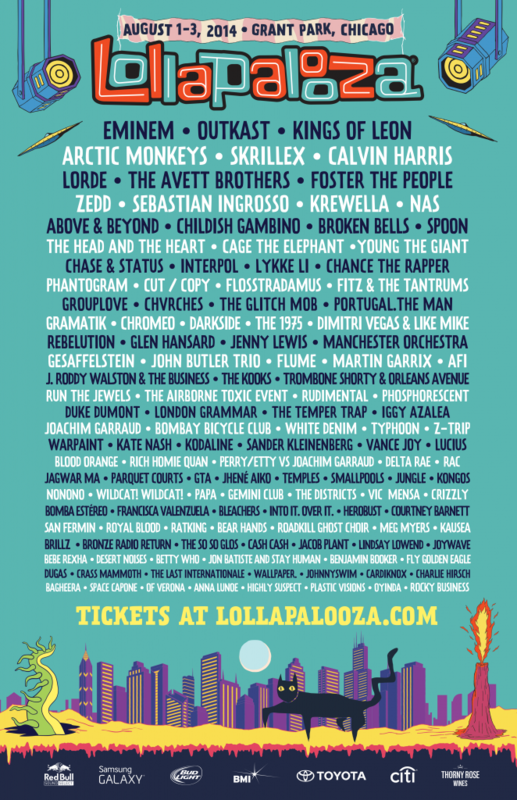 I am extremely excited for this festival as Lollapalooza is one of the best festivals in North America. It provides a great time in the lovely city of Chicago. This year, we see a lot of EDM artists gracing the stage such as the headliners that we leaked, Above & Beyond, Krewella, Sebastian Ingrosso, Flosstradamus, GTA, and many more! Artists such as Eminem, Outkast, Kings of Leon, and The Arctic Monkeys will be gracing the stages. Looks like all the rumors were in fact true! Check out the full lineup below! Remember though, 3-day passes are sold out. Only VIP, Platinum, and 1 day passes are currently available.